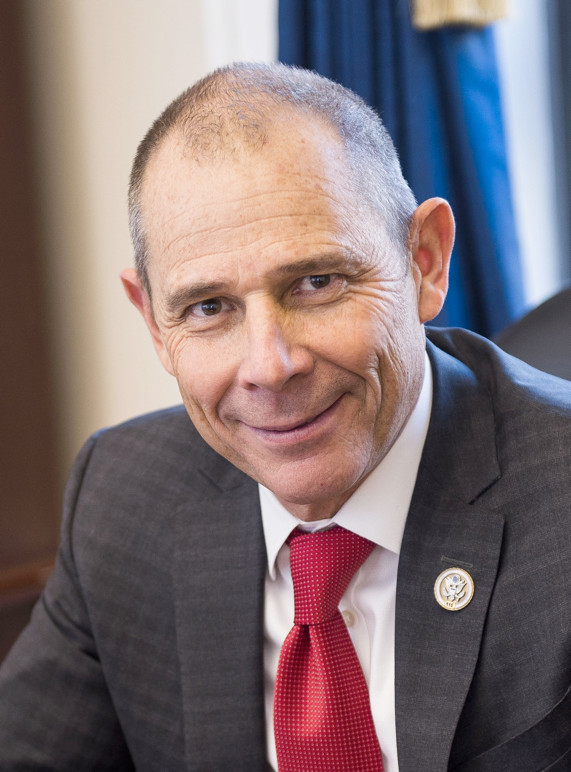 John R. Curtis proudly represents Utah’s 3rd Congressional District, serving on the House Natural Resources and Foreign Affairs Committees. After being elected to Congress on November 13, 2017, John sponsored 12 bills in his first year in office. Four of these bills passed through the House and three were signed into law: The POPPY Study Act to combat the opioid crisis, the Public-Private Partnership Advisory Council to End Human Trafficking Act, and the Small Business ACE Act. The Congressman cares deeply about hearing the diverse perspectives and feedback from his constituents: he held over 100 town halls in 2018. Utah’s third district is the youngest in the country, with an average age of 26 years old. John is also sensitive to the many constituents that live in rural Utah, and has focused on legislation that can fit needs of both demographics such as student loans, rural broadband access, and more. John has been committed to helping Utah’s growing tech scene flourish, and was recognized by Silicon Slopes as their first Community Hero Award recipient. Other personal awards comprise of Civic Innovator of the Year by Utah Valley University, Thayne Robson Award for Leadership in Economic Development, and Outstanding Citizen Award from the Office of Civic Engagement Leadership by Brigham Young University. Prior to coming to Washington, John was the 45th mayor of Provo City, serving two terms. Known for his personal approach to city government, Mayor Curtis prioritized his outreach to residents of Provo by utilizing various channels including his popular blog. He was named the #1 Top Elected Official on Social Media 2015 by the Government Social Media group and has been recognized by Forbes for his commitment to citizen engagement. Curtis was re-elected for a second four-year term as mayor in 2013 with 86.49% of the vote. As mayor, he averaged an approval rating of 93%. During his terms in office, the city of Provo ranked #1 in the nation for Business and Careers by Forbes as well as #1 for Well-Being by Gallup. Other recent awards include national recognition for the quality of life, family environment, a booming tech and entrepreneur culture and a successful revitalization of downtown. With the help of the City Council, employees and residents, Mayor Curtis’ administration brought Google Fiber to Provo, regularly scheduled air service at the airport, expanded parks, trails, and completed Provo’s state-of-the-art recreation center. Before becoming mayor, John was a small business owner in Provo, working with his partners to build their business “Action Target,” where he led sales and operations strategy. Congressman Curtis and his wife Sue have six children, seven grandchildren. He maintains a fluency in Mandarin Chinese and a closet full of stately socks.